The Grand Island Dining Set includes a 46 X 72 boat shaped, thumbnail edge table with a trestle base and 4 – 12 inch leaves. The table extends to 120 inches. 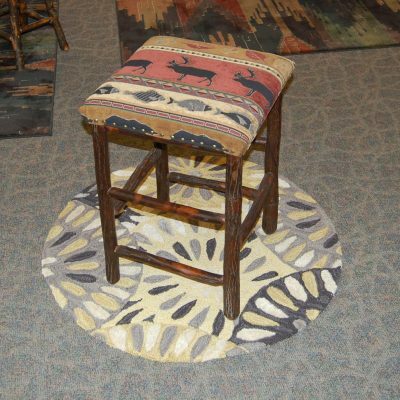 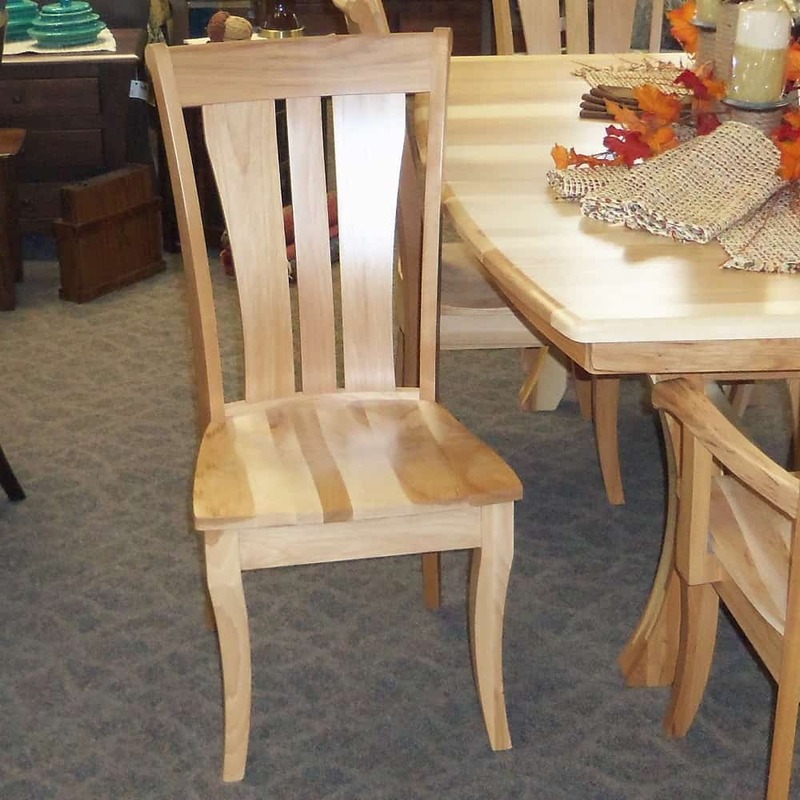 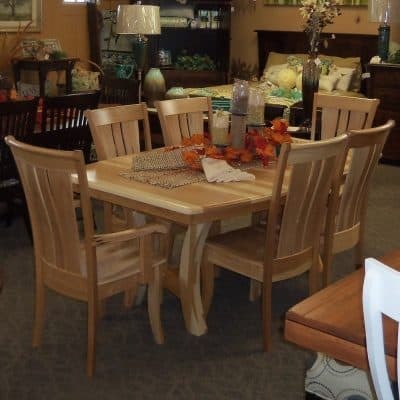 The set is shown in Hickory and comes with a natural finish. 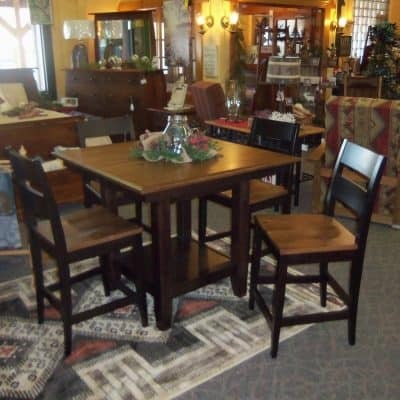 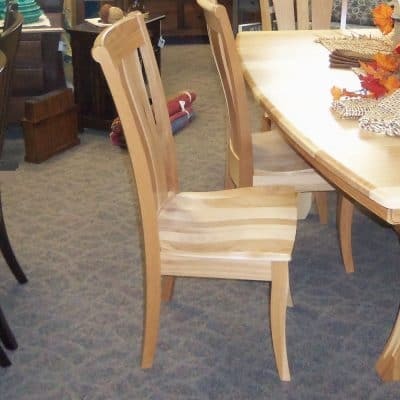 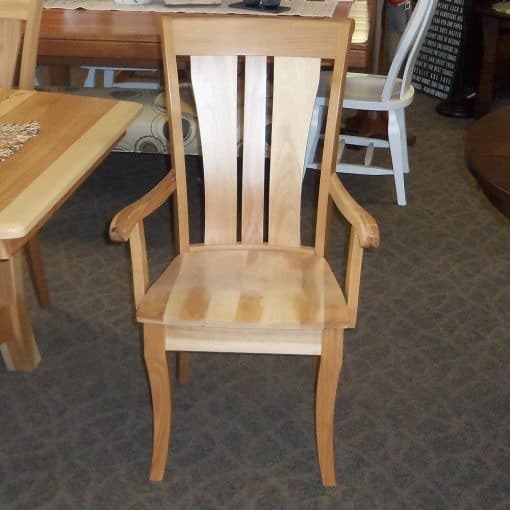 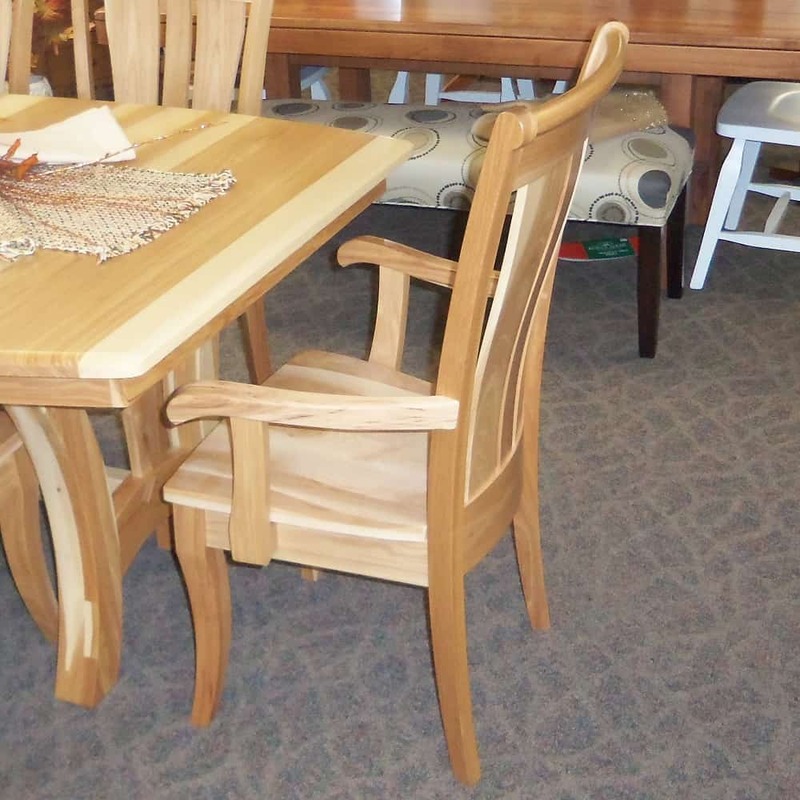 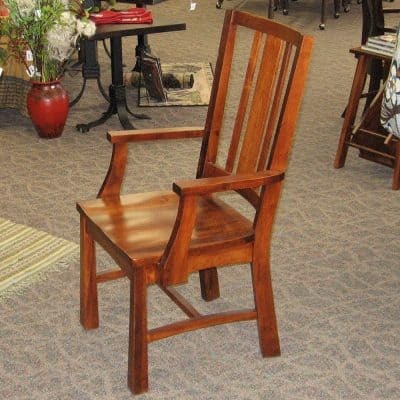 The set includes 4 “Fenmore” Side Chairs and 2 Arm Chairs. 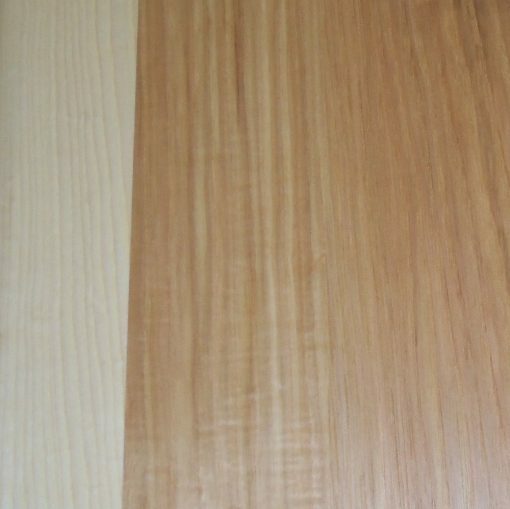 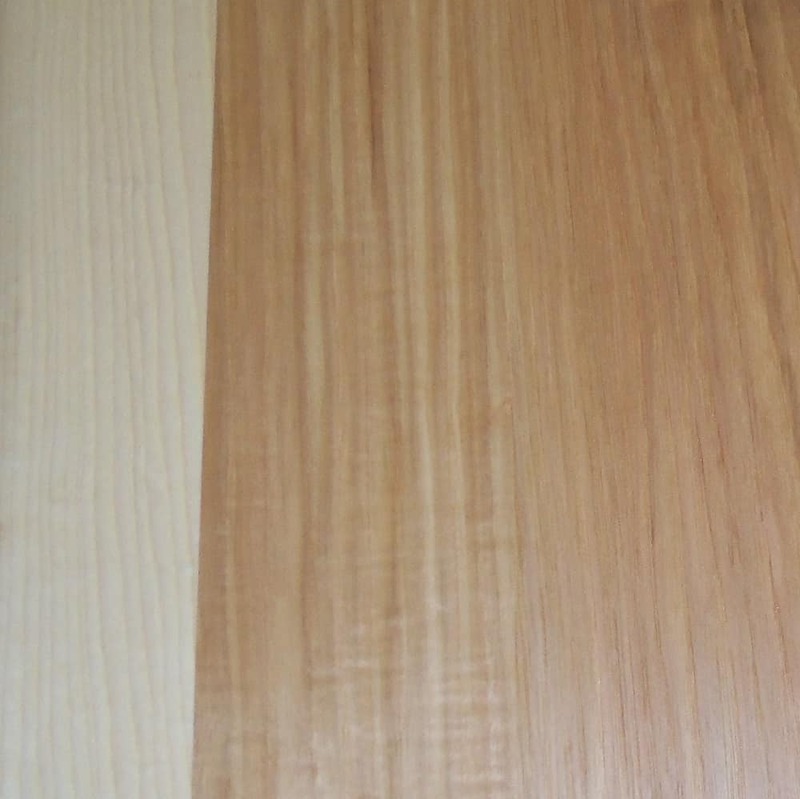 Other wood and stain finishes are also available for special order.